All our underground warning / utility tapes are produced from our own site from start to finish. 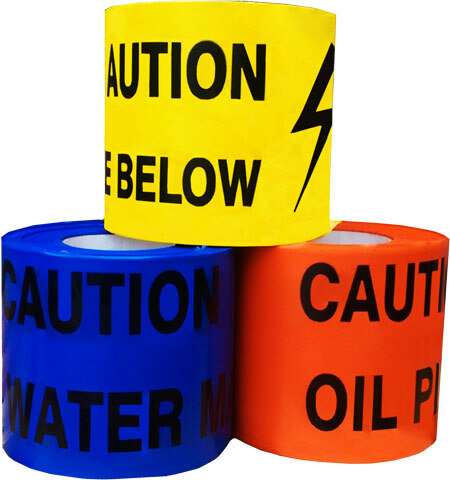 Industry standard roll size is 150mm x 365m Underground warning tape is manufactured from a coloured polyethylene film which is then printed by ourselves to include various warning / hazard stock designs alternatively we can print any text you require. Underground warning / utility tapes are mainly used within the construction / groundwork industry to alert excavators and operatives that there are pipes or cables buried below. Very easy to order just send us a copy of your logo / design and our in-house design team will do the rest. (proofs are usually provided within 24 hours). We manufacture this product from a standard 40 micron base material and also 100 micron which is only available in yellow and is manufactured to ENATS 12-24 specification. 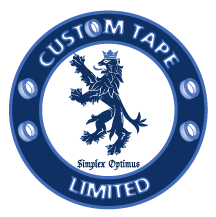 For further information please email sales@customtape.co.uk or call 01772 434444 and one of our sales team will be happy to process your order or enquiry. Click here to visit our dedicated underground warning tape website.